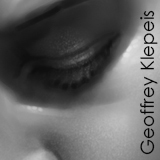 Geoffrey Klepeis Blog: My new site is up! Please check out my new site. This will be my primary portfolio, and I will be uploading new finished works to the site as time goes on. I will continue to post on my blog as well.